Take the opportunity to browse our selection to enhance your artwork collection. Ministry of Walls is one of the top street art galleries in Germany. It´s finest Germany Street Art. For newcomers, the perfect starting point to build a collection. You will find in us your urban art broker. We inform you of the latest and greatest in upcoming Street artists. We support you with our Street Art Gallery from end to end to create the ultimate collection: You need it, we gladly provide It. Your urban art broker Ministry of Walls Street Art Gallery & Shop. Our #1 priority is you, the collector. We believe in our products and hold ourselves to bring you the best street artists works to your home. We truly care about our customers which is why we offer the best support around streetart and urbanart. In addition, Ministry of Walls – The Urban Art Broker constantly offers special updates with new collectible artworks especially to our newsletter subscribers. You can count on us. We are stocked with colorful artists, each one with its own meaningful purpose. Also, we listen to the market and acquire the most coveted artworks for our collection. His satirical street art and subversive epigrams combine dark humor with graffiti in an incomparable stencil technique. His political and social commentaries show on streets, walls and bridges of cities around the world. Banksy’s works were created from the Bristol underground scene, where artists and musicians worked together. 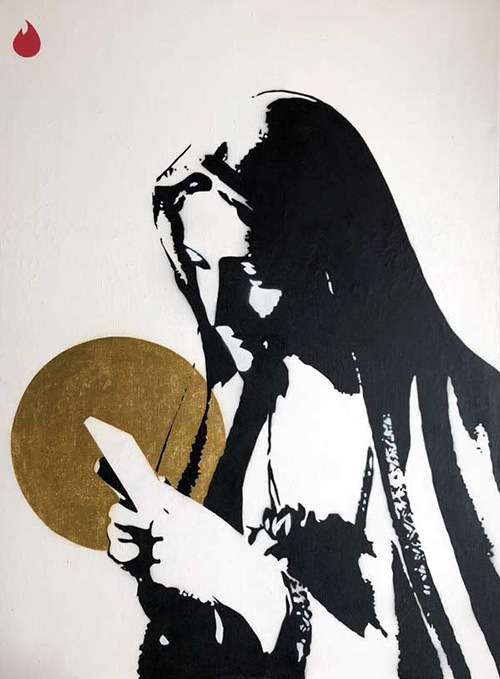 Observers have found that his style reminds of Blek le Rat, who began working with stencils in Paris in 1981. Banksy says he was inspired by “3D”, a graffiti artist who later became a founding member of Massive Attack, an English musical group. He shows his art on publicly visible surfaces, such as walls and homemade physical props. Banksy doesn’t sell photographs or reproductions of his street graffiti, but art auctioneers are known for trying to sell his street art locally and leaving the problem of distance in the hands of the winner. Banksy’s first film, “Exit Through The Gift Shop”, called “the world’s first street art disaster movie” made it’s debut at the Sundance Film Festival 2010 and was released in the UK on 5 March 2010. In January 2011 it was nominated for the Academy Award for Best Documentary. In 2014 he was named Person of the Year at the Webby Awards 2014. Inkie is considered part of Bristol’s graffiti heritage together with Banksy, 3D and Nick Walker. 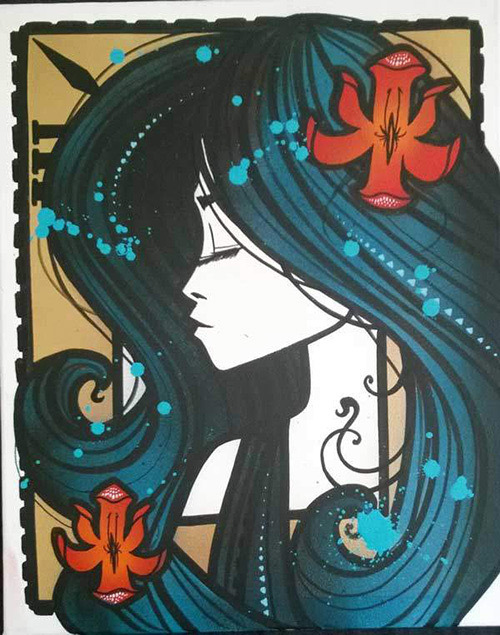 He is popular for combining Art Nouveau influences with an urban touch. In addition to producing Street Art, he has also worked as a designer for a number of famous game companies. He also designs illustrations, prints and clothing. His influences come from a variety of sources including punk rock culture, Mayan architecture and Islamic geometry. His works have been praised and judged at the same time, but his art certainly makes a strong impression. The artist originally came from Clifton, Bristol. There he began his artistic career in the early 1980s as a member of the Crime Incorporated Crew (CIC) in 1983 together with Felix and Joe Braun. 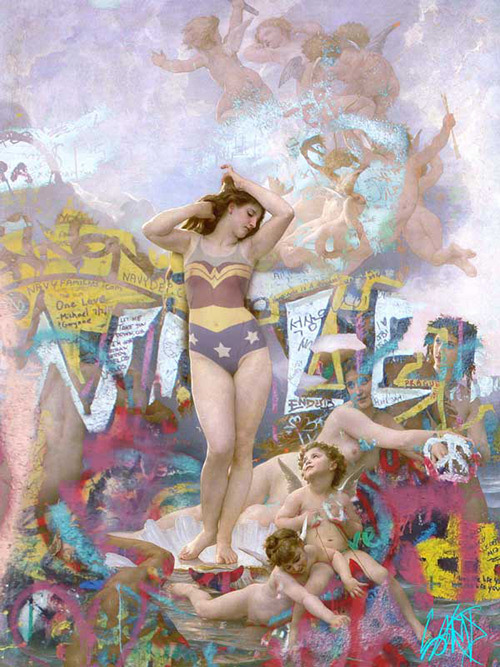 He was influenced by New York/Brooklyn artists such as Goldie and The Chrome Angels as well as others. For Inkie, graffiti is a challenge that always leads him to do something better. This is how, as he says in an interview, street art allows his lettering and bold symbolic images to become noticeably. Large-format, colorful and unique images were shown on the city walls, inspired by crystals. They were also inspired by Victor Horta’s architecture, but also by natural elements around the author. In 1989 the artist took part in the World Street Art Championship. There he took second place against strong opponents from all parts of Europe and the USA. In 1989, the highly talented artist was considered king of Operation Anderson, the UK’s largest graffiti bust of all time, for which he was arrested along with 72 other writers. This was later documented by BBC2 in the show Drawing the Line. In the 90’s he moved to London where he worked with the legendary Banksy. There he took part in different projects such as the 1998 Walls on Fire event. He also took part in his Bristol: Home Sweet Home book promotion with live painting, but also in other publications like Children of the Can, Graffiti World, Street Fonts. Inkie also works in a video game as well as other industries for brands such as XBox, Adidas and others. In this era of consumerism and massive advertising, it takes a lot to see the most important things in life. His photorealistic painting fits in perfectly with the idea of the American Dream, because it allows him to replicate almost identical scenes from the commercials. He creates them in a way that does not create the desire for something. In fact, he creates a certain degree of discomfort. His pieces may seem provocative and vulgar, but the whole picture is hidden behind them. An image that criticizes all the bad things that happen today. As well as all the shattered dreams all over the world. Furthermore, all the injustices that are more present today than ever. Flatt believes that ordinary people love photorealism. This is the kind of painting that is easiest for the eyes and has some kind of magic. He works with models that are physically very similar to those in mainstream advertising. Flatt addresses the viewer’s imagination and need for consumption. The idea is to exaggerate the messages in the commercials to the point of discomfort. By making aggressive sexual gestures, facial expressions and poses, all this perfection seems almost wrong. Nick Flatt had a difficult childhood because his family lived in a caravan. However, like everyone else, the story of an American dream was accompanied by all the commercials. He studied at the San Francisco Academy of Art, but retired and returned home to live with his parents. Only by moving to Germany and looking at his home country from a distance he could see behind the commercials. The art scene in Berlin is different from that in the USA because there is not so much money involved. There is much more honesty between the artists and the support is unbelievable. In recent years, Flatt has started working with others to create some amazing murals on the streets. In fact, his first Collab was 2014 with Cryptic and they made a mural of Andy Warhol in Los Angeles. It’s also a direction he’s going in simply decorating some neighborhoods. Dean Stockton is an English multimedia street artist who uses spray paint, stickers, posters and stencils. 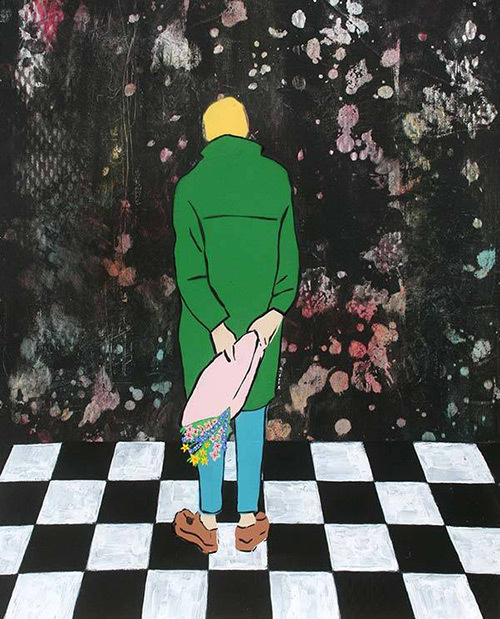 “D*Face”, also known as Dean Stockton, grew up in London and had an interest in graffiti as a child. He attended an illustration and design course and worked as a freelance illustrator/designer while improving his street art work. Among the influences were Shepard Fairy’s “Obey Giant” art campaign, Jim Philips, hip-hop, punk music and popular cartoons. 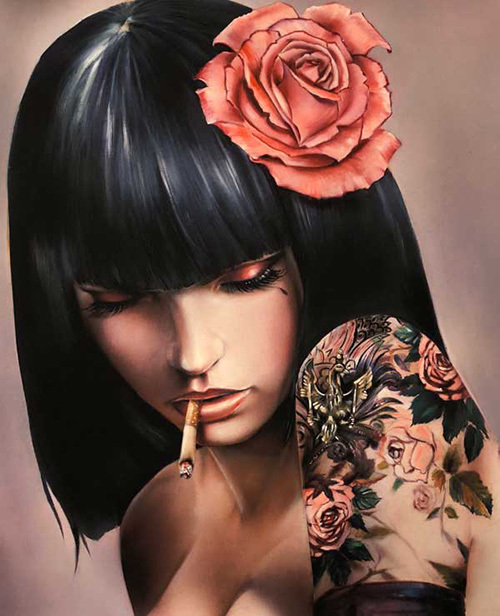 His first major London solo show, Death & Glory, was at Stolenspace Gallery, which sold out in October 2006. Since then, his exhibitions have included the solo exhibition Eyecons in March 2007 at O Contemporary in Brighton, also a sold-out exhibition. This included new paintings, an installation and two prints – by Kurt “Kant Complain” and Cli-Che. D*Face owned and curated the Outside Institute, London’s first contemporary art gallery focusing on street art. 2005, the Outside Institute moved and renamed itself the Stolen Space Gallery. In 2010 he collaborated with Christina Aguilera on her album cover of Bionic. 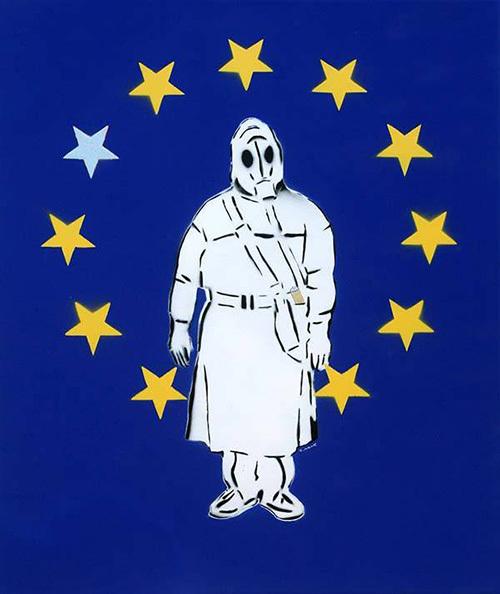 Moreover, in October 2013, D*Face participated in art wars at the Saatchi Gallery curated by Ben Moore. The artist was given a Stormtrooper helmet, which he transformed into a work of art. The prize went to the Missing Tom Fund, founded by Ben Moore, to find his brother Tom, who has been missing for over ten years. The work was also shown on the Regents Park platform as part of Art Below Regents Park. Cosmo Sarson, born and raised in London, started as a child with graffiti and breakdance. He started breakdancing in 1983. Cosmo Sarson then studied fine arts at the Byam Shaw School of Art. He added traditional artistic disciplines to his graffiti skills and achieved early success. Cosmo Sarson worked with oils and gouache and began exploring themes related to hip hop culture. This resulted in almost trompe l’oeil images of break dancers, skateboarders and bmx riders. He stopped painting in 1997 and hung up his brushes after a solo exhibition in Regents Street. Until 2009 he stayed out of the art scene where he was friends with the then relatively unknown Nick Walker and Ben Eine. Between 97 and 09 he found work as an art director in advertising and then as a scene artist on the film set. He painted everything from large scenic backgrounds to old masterpieces hanging as requisites, from murals to graffiti. His now famous painting “Breakdancing Jesus” was one of the ideas Cosmo Sarson had in the 12 dark years when he had no atelier. After the student riots in Britain, Cosmo Sarson turned to images of police and rioters. He began with a series of works portraying the anarchy of the rioters and the desperation of the police. Much of the series was based on dramatic photographs. The photojournalist David Hoffman gave Cosmo Sarson permission to work with his shots of the student riots. Several of Cosmo’s riot-related works were painted on unusual materials. These include a series of police forces painted on reflective material with hi-viz effect. Often the materials such as hoodies, denim and tracksuits relate to the theme. The British artist made the headlines with his huge 28-foot mural of “Breakdancing Jesus – the Salute”, created with over 1 kilo of gold glitter on a prestigious Bristol wall. L.E.T. 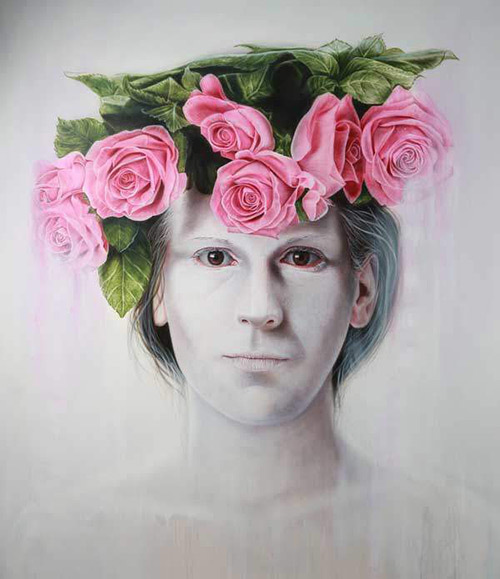 is a German-French contemporary artist based in Düsseldorf, Germany. Beginning with stencils in the early 90s, he experiments with graphics, sprayed writings or pictures on posters or walls. The nickname L.E.T. stands for Les Enfants Terribles, traditionally called outsiders and eccentric people from art circles. Furthermore, L.E.T. belongs to the early German street art movement and is still active on the street today, forming the image of his hometown of Düsseldorf. He sprayed his motifs on paper and inscribed them as sections all over the city. L.E.T. is inspired by the well-known works, which he interprets in his very own way. In addition, he prefers a similar way of dealing with the theme of his art. His focus is on design, which has a strong symbolic power. Consequently, he uses different elements from other well-known works. He gives them a new meaning in his works, or the ideas of his colleagues develop further. His technique and visual language are also similar to the street art classics. These parallels in his expression are a conscious homage. In this way he enters into a dialogue with other street artists. Black and white figures, which are given a new meaning by colored highlights, the smooth forms of his graphics and typographic works. Creations with a typical naturalistic look are the elements that characterize his art and make it attractive and exciting for the viewer. Moreover, L.E.T.’s art is full of social critique and uncovers the shame of today’s society based on consumption and hunger for wellbeing. L.E.T.’s art career is characterized by group exhibitions and street art conventions around the world. For this work he prefers media such as canvas, cardboard and wood that are suitable for a gallery. He has exhibited all over Germany. Like in Düsseldorf, Hamburg, Berlin. Moreover he presented his work in Philadelphia, Milan, London and Los Angeles as well as on several online platforms. David Uessem, born 1981 in Engelskirchen, lives and works in the Oberberg, a region near Cologne. He is a talented illustrator and has completed courses in painting and graphics. He mixes acrylic and oil techniques for his artworks, which makes his paintings so great. The artist specializes in portrait and figurative painting and his works have been shown in several famous exhibitions over the past year and will be shown again this year. From 2002 to 2005 he studied illustration and desktop publishing at the IBKK in Bochum. Shortly afterwards, in 2007, he used a self-portrait for his passport. Against David’s expectations, the images were let through despite templates and biometric scanners. Later in 2009, this forgery was reported on WDR and Uessem’s passport was revoked. Moreover worked from 2005 to 2012 at the IBKK in Bochum as a lecturer for illustration. The most striking thing about Uessem’s large-format portraits are the expressions of his motifs, almost always looking directly into the viewer’s eyes as if they were sharing their moods and emotions. Even the smallest movements of the face show a lot about the emotional state of people. While some of the characters portrayed are thoughtful or sad, others are ambiguous and show sadness or anger. The texture is as noticeable as the complexity normally found in the eyes of the subjects. When you perform at The Simpsons and Black Sabbath asks you to make a commercial poster for them, you’ve already reached a level of fame that seems almost unrealistic. Shepard Fairey, an icon of the American contemporary art scene. He is best known for his Obey Giant artworks and the subsequent Obey series, which have found their place on T-shirts, skateboards, posters, walls, and even clothing. This series eventually spread the artist’s name throughout the U.S. and around the world. His pieces are thoughtful and often controversial. Nevertheless, Fairey remains one of the world’s most famous artists, whose works are likely to inspire generations. Frank Shepard Fairey was born and raised in Charleston, South Carolina. He graduated from the Rhode Island School of Design with a Bachelor of Fine Arts in Illustration. Fairey became involved with art in 1984 when he began placing his drawings on skateboards and T-shirts. His first major work was the reproduction of black and white pictures by wrestler Andre ‘The Giant’ Roussimoff. The qualified media designer and graphic designer likes to provoke and polarize, especially with his art. Daniele Fuggiano, also known as “Fuggi”, was born and raised in Cologne’s southern city. He already liked painting in kindergarten and his role models are Michelangelo and Salvador Dalí. After secondary school he began an apprenticeship, but was soon fired by two companies. He then began an apprenticeship as a graphic designer and successfully completed it. Since then he has been working as a freelancer. In his spare time Fuggi is very fit and likes to play football. In November 2016, Daniele had an exhibition at the Brick Lane Gallery in London. His works of art are mainly pencil drawings. Besides he illustrates a lot with oil paints. Fuggi has also published his own fashion collection (Legends Collection). He designs hoodies and t-shirts in hip-hop style. His greatest success so far, however, is based on Instagram. After he published a drawing of Snoop Dogg, he liked his picture and even shared it twice. At Ministry of Walls Street Art Gallery, the artist present his work. He lives and works in Düsseldorf / Germany. 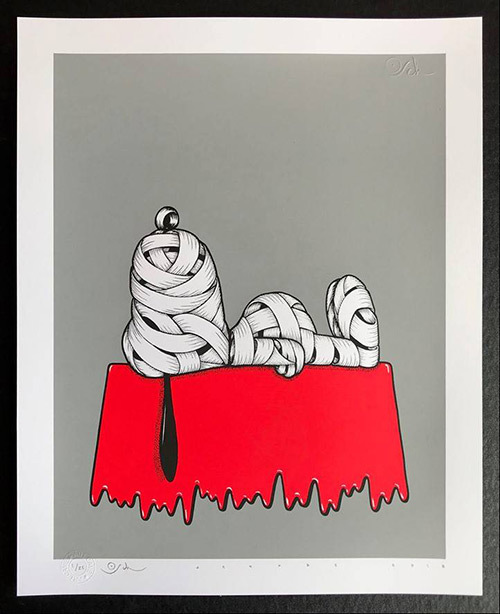 The artworks are exclusively available at Ministry of Walls Street Art Gallery shop. Four times a year there are new works available here for sale. and two weeks later its on the wall in your collection. With your urban art broker. Visit Our Online Street Art Shop Now! Ministry of Walls Street Art Gallery gives you limitless potential to build your perfect Street Art Collection. Easily get new works we provide. Be informed when your Artist has released a new work.